An interesting if patchy insight into the influential teen. A look at the events leading up to the Taliban’s attack on Pakistani schoolgirl, Malala Yousafzai, for speaking out on girls’ education followed by the aftermath, including her speech to the United Nations. A wonderfully animated opening didn’t really set the pace for me. BUT it showed the origins behind Malala’s name. Influenced by the Afghani folk hero Malalai of Maiwand who rallied the local people against the British soldiers in 1880. A touching but disjointed sequence. Malala was an entertaining and engaging presence. It was a nice touch seeing her with the family. Laughing and joking with her little brothers who drop her in it at every possible opportunity. The first hour was slow burning but very interesting as the documentary flicked back and forth from the Yousafzai’s Birmingham retreat to the Taliban militancy controlling the Swat Valley in Pakistan. We all know the story of Malala to some capacity. BUT I didn’t truly understand the events or the background that led to that fateful day. I didn’t realise what the Taliban were actually doing. Misinterpreting the Qur’an for their own agenda. Banning TV, girls’ education and women from shopping. Dictating from their speakers to the village below on what shall be. I was shocked at what happened to her. Shot for going to school. It was tense watching her go through surgery even though we knew the outcome. To be so understanding and calm knowing that she might not be able to smile properly again or feel on one side of her face. Her Nobel Peace prize acceptance speech gave me goosebumps and with all the Cyruses and Biebers of the world, it was good to see a proper role model for the younger generation. BUT as much as Malala’s defiance marked a turning point. There wasn’t much else to the piece. Repeatedly regurgitating the same news footage and providing different animated segments and cartoons of the same story got a little tedious. It didn’t really feel like a rounded argument. Just one perspective. 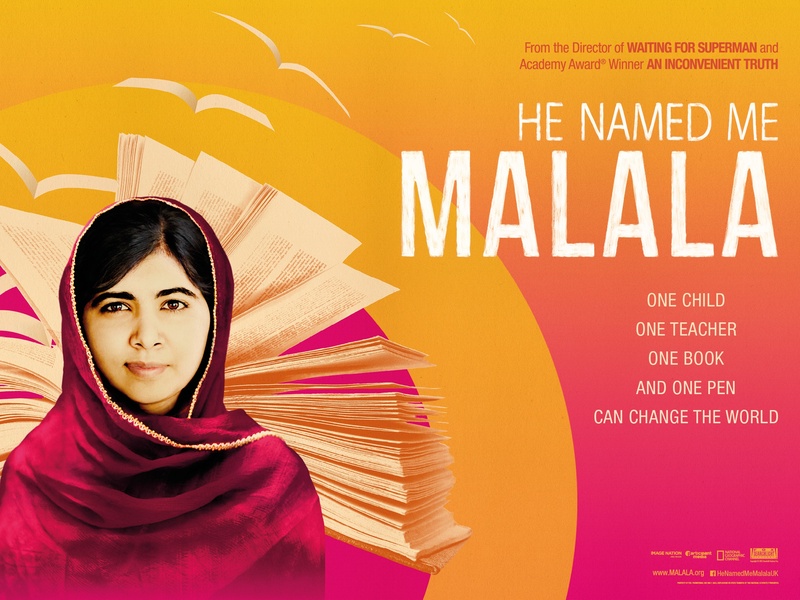 What disappointed me was that Malala was pushed into the background of her own story. We were force fed a lot of the same debate by her father who took a more prominent turn. I have to agree with some critics that the film seemed to lose its voice. Understandably, this issue has only scraped the surface and for all of Malala’s campaigning, there is still a lot of work to do. Her tours around the world meeting significant political figures hampered down the pace and talking can only get things moving so far. It allowed for some surprising statistics as we explore other countries that share this backward way of thinking. This brave girl has done so much and she’s only 18 BUT as a film and a commentary, it felt incomplete. The pace dipped in and out and despite a cheesy and empowering message to the little ‘uns out there, it just didn’t quite fit the tone. Interesting BUT muddled.